Thinkport Newsletter: Celebrate The Bay! Every year, MPT celebrates the beauty and bounty of a local treasure, the Chesapeake Bay. Tune in from April 24-30 for a week of special programs showcasing the history and heritage of the nation’s largest estuary. Bayville: Study the science of the bay through virtual lab experiments, a tour of bay habitats, and online games. Grades 6-8. Saving Smith Island: Critique data, watch videos and conduct research to learn about the future of Smith Island. Grades 6-8. Where Has All the SAV Gone? : Watch videos and examine text and data to write about submerged aquatic vegetation in the bay. Grades 9-12. Explore the wonders of the earth in celebration of Earth Day on April 22. PBS LearningMedia shares a roundup of their best environmental-themed resources including animated lessons, videos and a QUEST video transporting viewers to the beginning of the environmental movement. 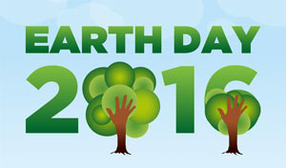 Looking for something fun to do with the kids on Earth Day? Venture out and catch a local event or try these cool craft ideas from PBS Parents. 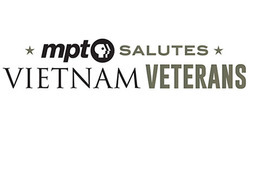 Tune into MPT Thursday, April 21, from 8:00 pm - 10:00 p.m for a live, behind-the-scenes look at MPT Salutes Vietnam Veterans. Hear stories from veterans, see clips from the documentary "Maryland Vietnam War Stories," and learn about our correlated education initiative from MPT’s Coordinator of Professional Development.